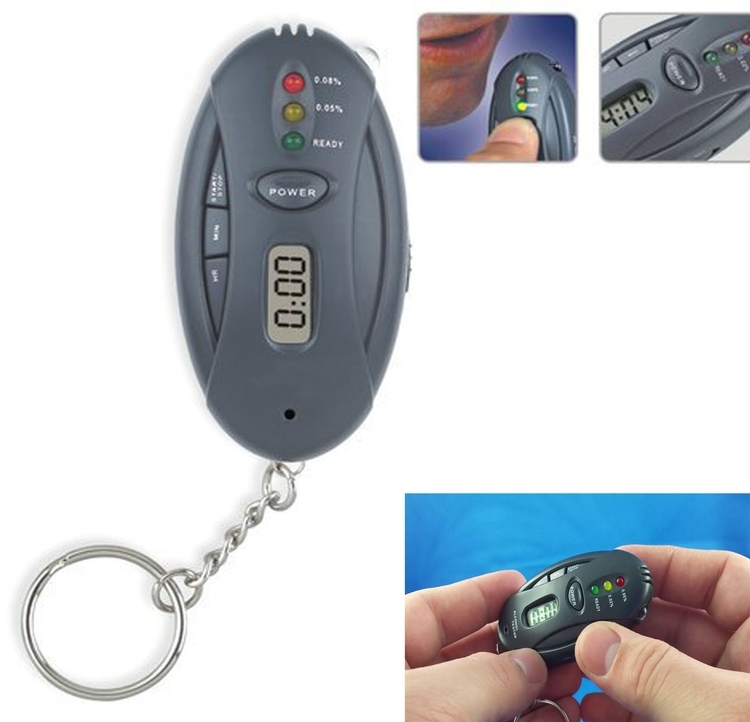 Feature: - One Breathalyzer Keychain per order. Use as a Breathalyzer, Flashlight, Clock, Stop Watch. 3-step alcohol test with 3 LEDs (green, yellow and red).